Ethiopian Orphan Relief was introduced to Be’Emnet in a ‘friend of a friend of a friend’ kind of way. Just after EOR received its 501 (c) (3) status in 2008, we learned of the situation there, knew that the orphanage was in need of support, and agreed that we would love to consider Be’Emnet a partner. While we’ve been eagerly raising funds on behalf of Be’Emnet–an orphanage that supports 4o children in Hosanna, it’s been difficult to communicate directly with the staff, especially once the terrific American volunteer who introduced us no longer worked there. EOR‘s funds for this orphanage really languished until we began to talk with Jeff Gurske of Perpetual Change, another terrific non-profit working on behalf of orphans. Perpetual Change is also sponsoring Be’Emnet, and Jeff has great knowledge of the needs there. 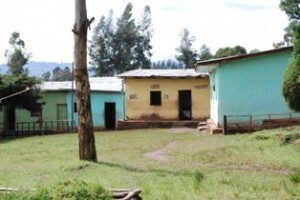 After months of meetings (both for EOR and Be’Emnet) we are pleased to announce that EOR has provided the funds necessary to build classrooms at Be’Emnet. We are so happy to to work with Be’Emnet in this capacity, and can’t wait for the day to show you pictures of the school rooms you have built. Special thanks to Jeff for facillitating this partnership. And special thanks to all of you for helping educate the children of Hosanna.